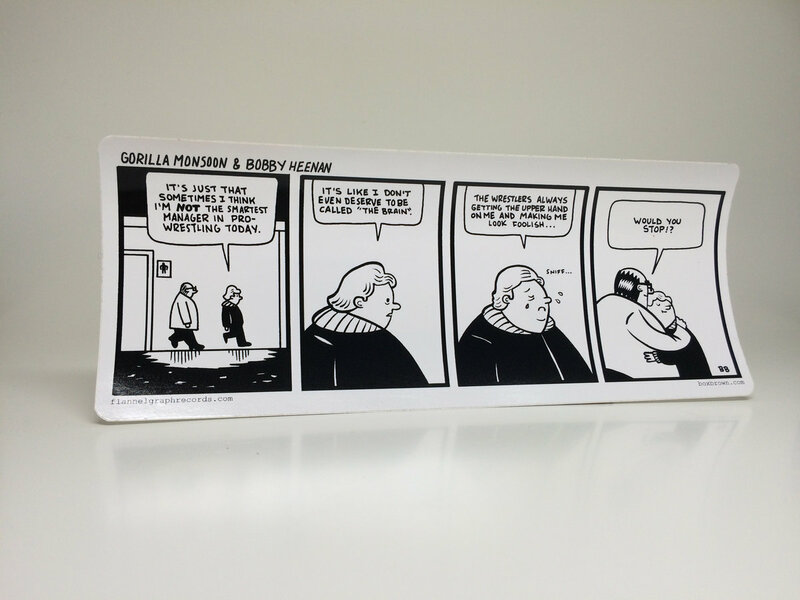 New York Times best selling cartoonist Box Brown's delightful comic strip, "Gorilla Monsoon & Bobby Heenan" is presented here as a 8.75" x 3.5" bumper sticker + song download. We asked the brilliant Chris Schlarb to create a theme to soundtrack the strip, which is included as a digital download. Includes unlimited streaming of Bobby & Gorilla's Theme via the free Bandcamp app, plus high-quality download in MP3, FLAC and more.